The first slide in my presentation featured Linlin Wang. 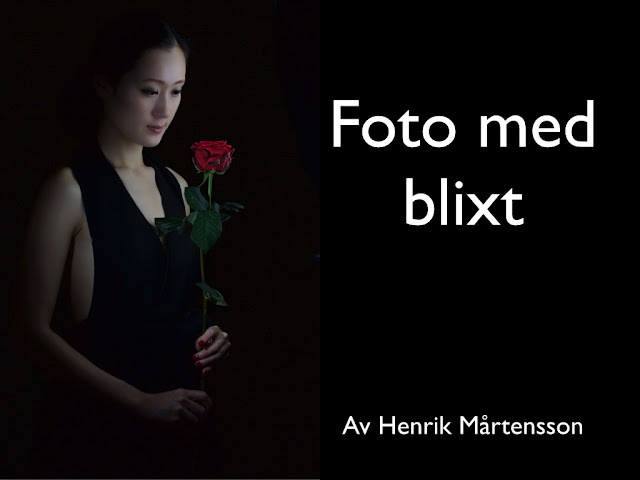 From a recent photo session where I worked very closely with Petri Olderhvit. I had a very fun evening at the PAN Photo Club yesterday. I had been invited to hold a presentation on small flash photography. I had been invited by Jan Thorkilsson, the chairman of PAN, because Jan had seen me present at the Partille Photo Club earlier this year. It was great fun. I like to present, and I love when it spawns a lively discussion afterwards. We talked a lot about how to get started with small flash, and getting over that initial wave of flash induced panic. I also did a practical demonstration, shooting with one and two flashes, speed grid and gels. I also made a point of mentioning Petri Olderhvit and Julia Reinhart, the photographers I worked with while shooting some of the photos. I did this partly to remind everyone, including myself, that all the photos I showed are collaborative works. I work with human beings, some I have met only once, others a couple of times, some are close friends. From a practical point of view, the more people who know that Victoria, Therese, and My are models, that Johan Wikström plays in the rock band Mays Hounds, that Anna and Lotta are firedancers, and that Sana is a butoh dancer and choreographer, the greater the probability that they get paying gigs. Of course, the more paying gigs they get, the greater the probability that they will mention me, Petri, and Julia to people who might want our services. Taking it a step further, if we help each other out in this way, it will strengthen the Gothenburg Photo Meetup network most of us are members of. So, what started as a discussion about flash photography, evolved into a discussion about collaboration, and from there we went on to discussing organizational structure. From the point of view of any traditional organization, whether it be a photo club or a business, a network organization like Photo Meetup looks like a crazy mess, except, of course that it works very well. I am passionate about both photography, and organization, so I was pretty much in heaven. I think the PAN people enjoyed it too.